Looking for a USED MULTUS B400II/1500? 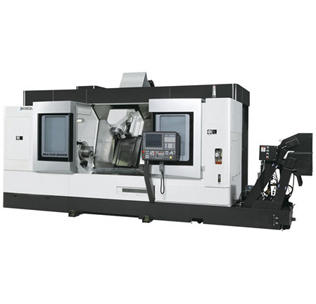 The MULTUS B400II is the ultimate fusion of turn-mill operations, with lathe, vertical or horizontal machining center and material handling operations consolidated into one 10-12 inch chuck class machine. This multi-tasking CNC machine performs process-intensive machining for shorter deliveries, while making more effective use of floor space. With fewer setups, work in process is drastically reduced and machine utilization is greatly increased. Looking to Purchase a New OKUMA MULTUS B400II/1500?